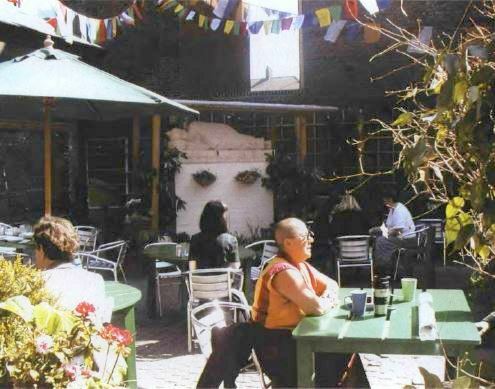 The garden at Jamyang Buddhist Centre in London has been transformed from a highsecurity yard and parking lot of a former courthouse to an inviting green space used by Buddhists and non-Buddhists alike. It is important to understand that true practice is something we do from moment to moment, from day to day. We do whatever we can, with whatever wisdom we have, and dedicate it all to the benefit of others. We just live our life simply, to the best of our ability.